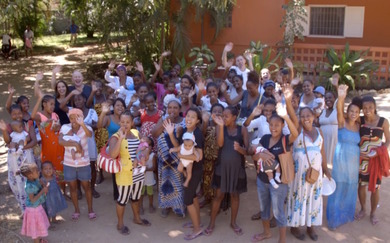 September has proved to be most likely our busiest month this term in Madagascar. Amongst a sea of other things, we received and hosted a major Eden Projects group, including Steve, the founder and president of Eden, two board members, six major donors and two cinematographers. 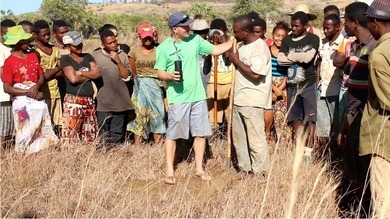 For 9 days this large group plus Jamie, Neal and our Malagasy crew traveled by helicopter to visit 3 mangrove planting sites, 5 dry deciduous planting sites and 7 villages employing over 330 women and men. The truth of the situation in Madagascar is that this country desperately needs to be reforested. 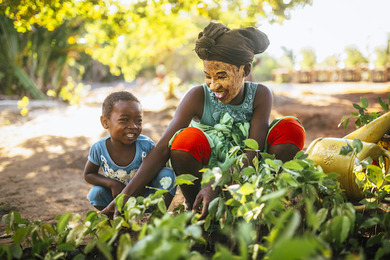 With nearly 90% of it’s original forest cleared or burnt the negative implications are vast and truly life-altering for the 23 million people that live in Madagascar. And so we plant trees with Eden Reforestation Projects… millions and millions of trees. 130+ million trees. And yet, the work of Eden is so.much.more than planting trees. 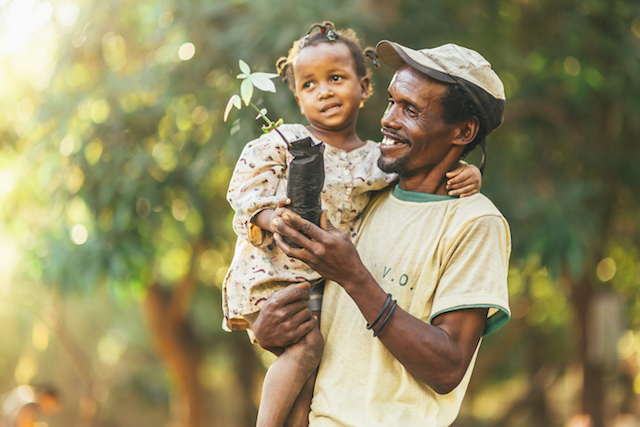 The work of Eden is about the people that are planting the trees. … It’s about the single mom who is raising six kids on her own and now can feed her children. … It’s about the men and women that have paid off their insurmountable and ever-increasing debts and have thus escaped the indentured servanthood that had entrapped them for so long. 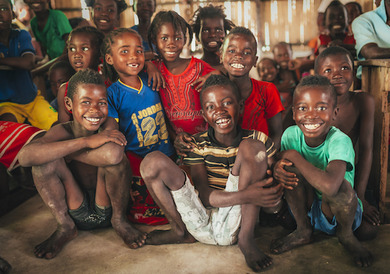 … It’s about the 200+ kids in two different villages that are now receiving an education for the first time because schools have been built and parents have an income to pay the teachers. … It’s about the men and women who have purchased canoes and fishing supplies and have created a business for themselves. … It’s about the families that have purchased and planted rice fields that have yielded crops year after year. 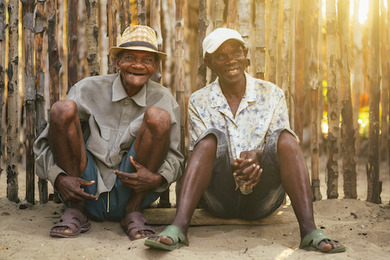 … It’s about the transformation of men and women who were once so deeply impoverished themselves but now can financially care for the orphans and the widows in their villages. … It’s about the moms and dads that are now able to leave an inheritance to their children as well leaving the legacy of being a change-agent within their community. … It’s about the men, women and children whose lives have been transformed not only in the physical sense here on earth but in the eternal sense because they have come to know, accept and love Christ as their Savior. 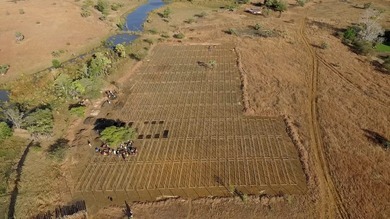 In the last three months, two new dry deciduous nurseries in two new villages have been created from what was virtually nothing. New employees trained, grasslands cleared, columns built, compost made, bags cut and filled, and seeds currently being planted and tended to. 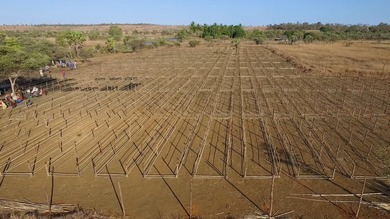 These two nurseries are Eden’s largest nurseries to date here in Madagascar, the first with 200,000 pots and the second with 400,000 pots. Jamie first began going to one of these villages, Antanamarina, when he was just 12 years old and it’s also the village just outside where Jamie asked to marry me 14 years ago! Though Antanamarina is taboo Jesus and the Bible, the king of the village, Zamanzisy, a long-time friend, welcomed us to come to his house to share about the Lord. He followed up his invitation stating, “though I’m still sticking with my ancestral traditional beliefs”. Please pray with us for Zamanzisy. We look forward with expectation to how God will use this work to transform lives in these two villages. Join us in praying for favorable rain this coming year, new leaders to rise up, unity within the work and the Spirit of God to stir in the hearts of many! There is much to celebrate and rejoice over here in our little corner of the globe! You all gave generously and lavishly and we’re thrilled to share that we’re more than 70% of the way to the goal for the purchase of the Sarobidy Property! Thank you, thank you, thank you!!! For all you that gave, be on the lookout for your rewards coming in the mail within the next two weeks! If you haven’t yet partnered financially towards the purchase of the property but would still like to, click here to be directed to our mission organization, WorldVenture, where all donations are 100% tax-deductible. Please designate “Sarobidy Center Property Purchase” in the comments section. Please rejoice with us over God’s great provision, pray with us for the rest of the money to be secured and that the purchase of the property would be seamless. 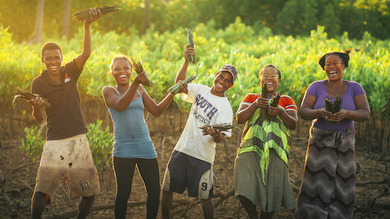 Thank you for standing with us as we seek transformation of lands, lives and hearts here in Madagascar.